Narrower strips than usual - these about 1/2" each - invigorate one of the iconic pieced quilt formats, the Log Cabin variation. Concentric diamonds are formed using all cotton prints in both warmer deep earth tones alternating with white ground prints, and with the iconic little red square to represent the home hearth. 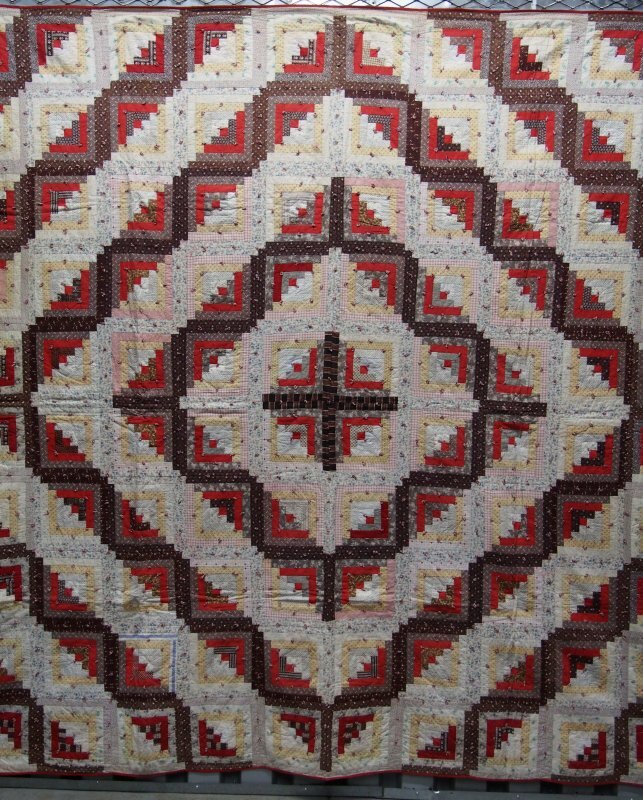 Tiny knots or ties in red further animate the quilt surface as they anchor the layers together in lieu of quilting.